Derek Satterfield is in his second year as Florida State’s senior associate communications director and has 14 years of experience that includes time spent in the SEC, NFL and Big Ten. He is the primary contact for football, working closely with head coach Willie Taggart and serving as the football program’s spokesman. In his role, Satterfield coordinates all media requests for coaches and student-athletes. He also prepares press releases and weekly game notes and serves as the editor for FSU’s media guide, bowl guide and spring guide. Additionally, his duties include oversight of photography, statistics and records for the football program. Satterfield came to Tallahassee after two years as the assistant athletic director for athletic communications at The Citadel. His responsibilities at The Citadel included oversight of the communications office and Citadel Video Productions in addition to serving as the sport administrator for cheerleading and working with the Collegiate Licensing Company on trademark licensing products for the athletic department. He also was responsible for directing the strategic vision for the athletic department and ensuring it aligned with the college’s core values. At The Citadel, he was the primary contact for the football and rifle programs. As part of those tasks, Satterfield promoted back-to-back Southern Conference Defensive Players of the Year, including the first conference defensive player of the year in program history, and back-to-back SoCon Coaches of the Year in addition to five All-Americans and 26 all-conference selections. The rifle program also received multiple awards, including the 2016 SoCon Coach of the Year and national Coach of the Year finalist, in addition to hosting two conference championship matches. 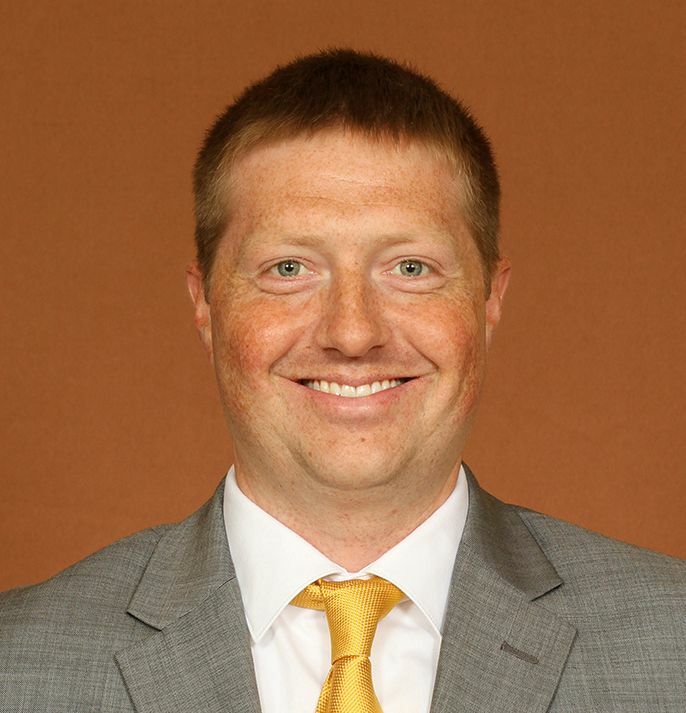 Satterfield was the director of football communications at Michigan in 2014 and a primary football contact at Arkansas from 2010-14. In those roles, he was responsible for developing and implementing communications strategies for both programs that resulted in numerous All-America and all-conference honors as well as winners of the Mackey Award, Disney Spirit Award, Johnny Rodgers Award and SEC Freshman of the Year. While at Arkansas, he was a member of the group recognized by PR Daily with the 2013 non-profit PR award for Best Crisis Management. His first full-time job was at Purdue, where he served as the contact for men’s and women’s swimming and diving, men’s and women’s tennis and women’s soccer. While he was at Purdue, the Boilermakers earned two NCAA Coach of the Year awards, five Big Ten Coach of the Year awards and two national and conference Diver of the Year honors. He also was part of hosting the 2010 NCAA Women’s Swimming and Diving Championships, NCAA Zone C Diving Championships and Women’s Big Ten Championships as well as the 2009 Big Ten Men’s Swimming and Diving Championships. Satterfield began his career as a student assistant at Tennessee. There, he was the primary contact for men’s track and field and cross country, working with a program that won the 2007 SEC Outdoor Championship and had numerous All-Americans and all-conference performers. He also assisted with other sports, including football, men’s basketball and baseball. After graduation, he served an internship with the Indianapolis Colts during the 2008 NFL season, working with NFL MVP Peyton Manning and Hall of Fame coach Tony Dungy during the first season of Lucas Oil Stadium. Satterfield earned his bachelor’s degree in sport management from Tennessee in 2008. He completed his master’s degree in leadership studies from The Citadel in 2017.